Michael J Houghton married Tamara Sue Bringhurst in Aug 24, 1984 at Salt Lake City, Salt Lake Co., UT, USA. James Peter Houghton married Teresa Lynn Tiedeman in Mar 19, 1983 at Denver, Douglasr Co., CO, USA. 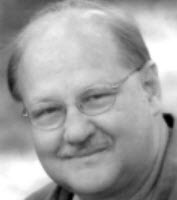 Jerald H. Chatwin Jr. married Kathy Lynn Murie in 1992 at Salt Lake City, Salt Lake Co., UT, USA. Hal Chatwin married Jennifer Budy in Dec 22, 1992 at Salt Lake City, Salt Lake Co., UT, USA. George Jensen married Bonnie Denise Eidson, daughter of Massachusettsrio David Eidson and Frances LaVonne Houghton, in Feb 22, 1974 at Provo, Utah Co., UT, USA. George Jensen and Bonnie Denise Eidson were divorced. Susannah Conklin married John Gilson. Susannah Conklin married Reuben Houghton in 1848 at Sugar Creek, Lee Co., IA, USA, w/2. Alden Bruce Thompson married Georgia Delene Haymond in Sep 10, 1960 at Manti, Sanpete Co., UT, USA. Alden Bruce Thompson married Linda Sue Lewis in Jul 23, 1965 at Roswell, NM, USA. Shirley Jeanne Thompson married Blaine J Bradford in Jun 11, 1958 at Salt Lake City, Salt Lake Co., UT, USA. Jerald H. Chatwin married Margaret Goldade in Dec 29, 1951 at Pasco, Benton, WA, USA. David Lombardi married Julie Kay Ludlow, daughter of Ronald Thomas Ludlow and Francis Colleen Hansen. Judi Kae Thompson married Milo Argyle Beckstrom in Mar 15, 1991 at Jordan River, Salt Lake, UT, USA. Lois Sudweeks married Kent Blaine Bradford, son of Blaine J Bradford and Shirley Jeanne Thompson, in Aug 6, 1982 at Circleville, Plute Co., UT, USA. Ernest James Crabtree married Renee Marie Houghton, daughter of Paul Eugene Houghton and Mildred Mae Jex, in Sep 4, 1982 at Orem, Utah, UT, USA. Patricia Skinner married Paul Eugene Houghton Jr., son of Paul Eugene Houghton and Mildred Mae Jex, in Jun 7, 1968. 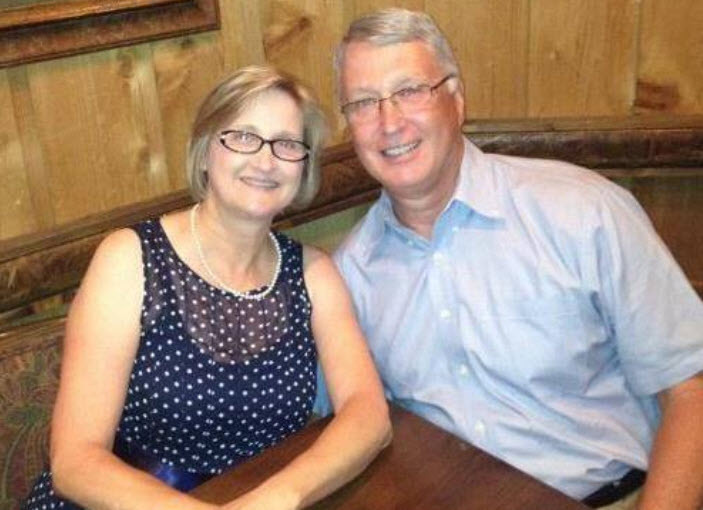 Patricia Skinner and Paul Eugene Houghton Jr. were divorced. Frances LaVonne Houghton married Massachusettsrio David Eidson in Dec 6, 1952 at Alexandria, Arlington Co., VA, USA. Frances LaVonne Houghton and Massachusettsrio David Eidson were divorced. Debra Machell Memmott married John Melvin Houghton, son of Paul Eugene Houghton and Mildred Mae Jex, in Apr 4, 1980 at Provo, Utah Co., UT, USA. Renee Marie Houghton married Ernest James Crabtree in Sep 4, 1982 at Orem, Utah, UT, USA. Jytte Christensen married David Gregg Houghton, son of John Arthur Houghton and Jennave Aitken, in Jun 14, 1957 at Salt Lake City, Salt Lake Co., UT, USA. 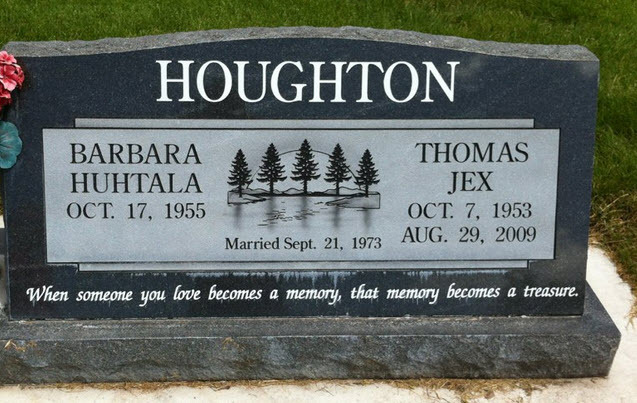 Barbara Diane Huhtala married Thomas Jex Houghton, son of Paul Eugene Houghton and Mildred Mae Jex, in Sep 21, 1973. James Rean Houghton married Bonnie Virginia Jensen in Oct 26, 1957 at Las Vegas, Clark Co., NV, USA. Paul Eugene Houghton Jr. married Patricia Skinner in Jun 7, 1968. Paul Eugene Houghton Jr. and Patricia Skinner were divorced. Paul Eugene Houghton Jr. married Carol Jung in Mar 5, 1994. Paul Eugene Houghton married Mildred Mae Jex in Aug 4, 1949 at Provo, Utah Co., UT, USA. Mildred Mae Jex married Paul Eugene Houghton, son of Paul Stoker Houghton and Frances Marie Pinterella, in Aug 4, 1949 at Provo, Utah Co., UT, USA. Thomas Jex Houghton married Barbara Diane Huhtala in Sep 21, 1973. John Melvin Houghton married Debra Machell Memmott in Apr 4, 1980 at Provo, Utah Co., UT, USA. Herb E. Thomas married Mary Nell Eidson, daughter of Massachusettsrio David Eidson and Frances LaVonne Houghton, in Nov 14, 1969 at San Diego, San Diego Co., CA, USA. Herb E. Thomas and Mary Nell Eidson were divorced. Carol Jung married Paul Eugene Houghton Jr., son of Paul Eugene Houghton and Mildred Mae Jex, in Mar 5, 1994. Reuben Benjamin Houghton married Rebecca Durfee in circa 1894 age 15; mar 6 years in 1900 census.